Each family will be paying individually. Salad and entree will cost $26 plus 20% gratuity and 7% for tax. Starter, dessert & drinks will be available at additional cost. 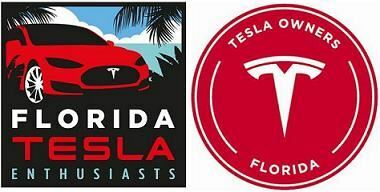 Join Florida Tesla Enthusiasts for a club meet-up and dinner at the Stonewood Grill & Tavern to celebrate the opening of the Sarasota Supercharger Station. This station is the largest in the state with 20 charging stalls. We will be meeting on Friday, September 8th at 6:00 pm at the Stonewood Grill's private dining room. The cost for salad and entree will be $26 per person, plus 20% for gratuity and 7% for tax. A selection of starter & dessert options are also available at additional cost along with a cash bar. For a full-size version, right-click on the image below and open it in a separate tab or window. The Supercharger Station is located across University Parkway off of Honore Avenue. For those who would like to stay overnight the Courtyard by Marriott is located less than a half mile away.